The Moto Guzzi Daytona was always the pure, no messing race replica in the range, whether in 1000cc form, or the with the later 1100 motor. Fuelling problems slightly marred the performance, but there's a brutal elegance about the bike, and true collector value. There's a claimed 102bhp, plus it runs cambelts, rather than pushrods, and fuel injection. The 1997-98 models had an optional 107bhp at the rear wheel, thanks to a Raceco conversion kit, chip and new exhaust. The Daytona steers slower than a Transit van compared to an R1, but you can hustle it with the heavy use of countersteering and grim determination. Component-wise, it carried much the same kit as the 1100 Sport; WP suspension, Brembo brakes, four-pot calipers and a stainless steel exhaust system. But in a way, the earlier 1000RS is somehow more exotic. The more you push big, air cooled, V-twins in terms of capacity, piston speed and compression, the closer you get to meltdown. That's basic physics and by tuning the motor, and using indifferent quality control, Guzzi effectively made life interesting for Daytona owners. But at its heart, the Daytona RS is a rare thing – with just nine on our roads, and a further 12 on a SORN. You could buy one (if you could find one), run it for three years and probably get your money back. But if used frequently it could cost you big money in repairs and servicing. Next stop: Classic or crusher? Classic. 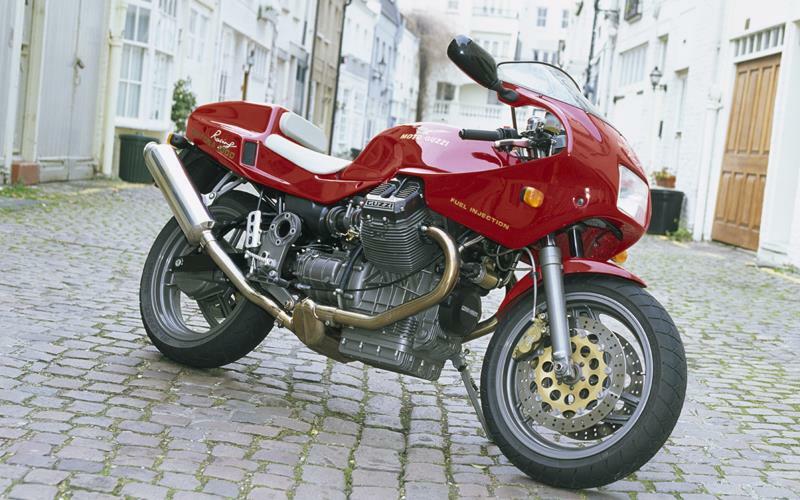 Gremlins aside, the romance and charm of this mid-90s Guzzi spares it from the crusher.